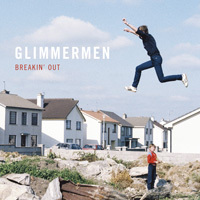 Glimmermen have been busy recording their new songs with The Deaf Brothers at The Meadow in Co. Wicklow. They recently released a new song for a limited time at an event they played. The song was released on a Fortune Telling Fish no less - with a Free download card inside. It was mastered by Stuart Hawkes at Metropolis London (very fancy). If you were at the event you were able to download the song for a limited time from a temporary bandcamp site (Now deleted). Enjoy the song if you were there. News soon. Stay tuned.